Like Norwich, a city known for its many medieval churches, Kyoto, Japan’s former Imperial capital, is a hub of historical religious institutions. In contrast to Norwich’s Christian establishments, the great majority of Kyoto’s religious edifices are Buddhist temples. However, after the state government’s relegation of Buddhism in the late nineteenth century, many Kyoto temples went through a period of modern history in some ways comparable to a number of Norwich’s churches: earlier abandonment or neglect giving way to a more recent revitalization through redefining the roles of historical religious architectural spaces in society. In Kyoto, Buddhism has been interpreted anew as a “religion,” a modern concept in Japan imported from the West, and empowered by its union with art in temples. This talk will introduce this modern phenomenon in comparison to what the speaker has observed in Norwich. Yasuko Tsuchikane, Ph.D., a Robert and Lisa Sainsbury Fellow, is originally from Japan and teaches art history at The Cooper Union in New York. Her current research includes the social networks dedicated to the production and reception of modern art in historical Buddhist temples, which resulted in her article, “Rescuing Temples and Empowering Art: Naiki Jinzaburō and the Rise of Civic Initiatives in Meiji Kyoto” (forthcoming). 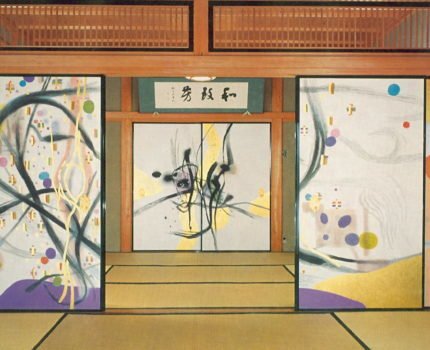 She is also working on a book project, focusing on a single artist who produced the largest number of art works for Buddhist temples in twentieth century Japan, Dōmoto Inshō (1891-1975).